WARNING: Cave diving is a very equipment- and technique intensive form of diving and is also very demanding with regard to the diver’s mental stability. No amount of open water training can prepare you for the conditions encountered in the cave environment. 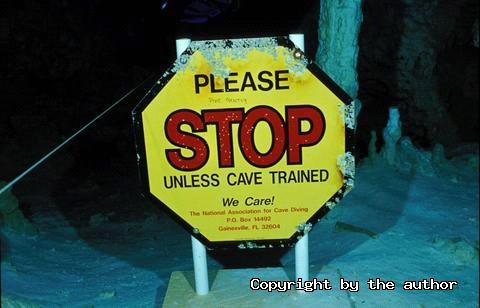 Most accidents in caves have happened simply because divers just wanted to "go in a little bit". The authors and publishers of this website accept no responsibility and liability for damage of property or physical or mental injury resulting from use of the techniques or equipment described on this website.